How Do Car Loans Affect Your Credit? Public transit has become a way of life for many young adults and city dwellers, but the convenience of having your own car is an advantage that many people can’t pass up. Of course, that convenience comes with a cost. The average price of a new car is $34,077, and that price continues to increase annually by 2.7%!1 For most Americans, the only way to pay such a high price is with a car loan. Just like any other large loan, your credit will most likely be a factor in the amount you can receive, the APR and more. 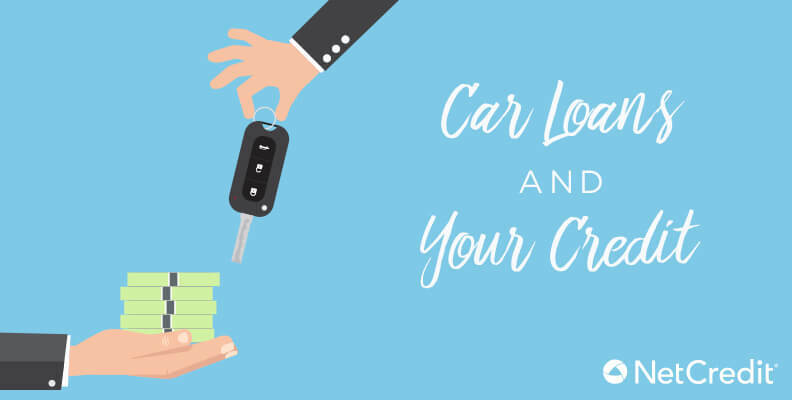 Whether your credit is in good standing or in need of some help, you might be worried about how taking out a car loan could affect your credit. We asked Harrine Freeman, a business owner, and Mariya Palanjian, sales and marketing director at ZadCars.com, what effect car loans could have on your credit, what to expect and how you can offset the cost. How Do Car Loans Affect Credit? Even though taking out a car loan can decrease your credit score, she explained, it’s also dependent upon what other loans you have, other debt you owe, if you have maxed out any credit cards and if you have made any other inquiries within a two year period. Mariya Palanjian also explained that by purchasing or leasing a vehicle, “your revolving balance will increase and therefore lower your credit score.” There is also the chance that you could be turned down for other loans or credit cards during that period. How Can I Prepare for or Offset Those Effects? If your credit score is mostly based on rolling lines of credit (e.g. credit cards), the addition of a car loan (an installment loan) can actually help you in the long run. A diverse credit portfolio helps bolster your score by demonstrating that you are consistently reliable. It also shows that you’re not dependent on the type of credit you receive. However, this strategy will only work if you keep up with your regular payments. When you know what to expect when applying for a car loan, you’ll be better prepared to deal with the potential effects and make the best decision based on your travel needs and your credit score. If you are looking for other ways to improve your credit score or want to learn more about how to improve it, check out these five questions you should be able to answer about your credit score.